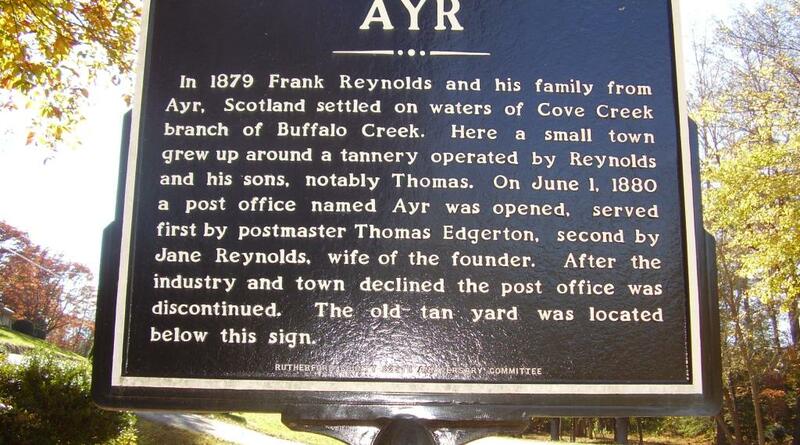 AYR - In 1879 Frank Reynolds and his family from Ayr Scotland settled on water of Cove Creek branch of Buffalo Creek. Here, a small town grew up around a tannery operated by Reynolds and his sons notably Thomas. 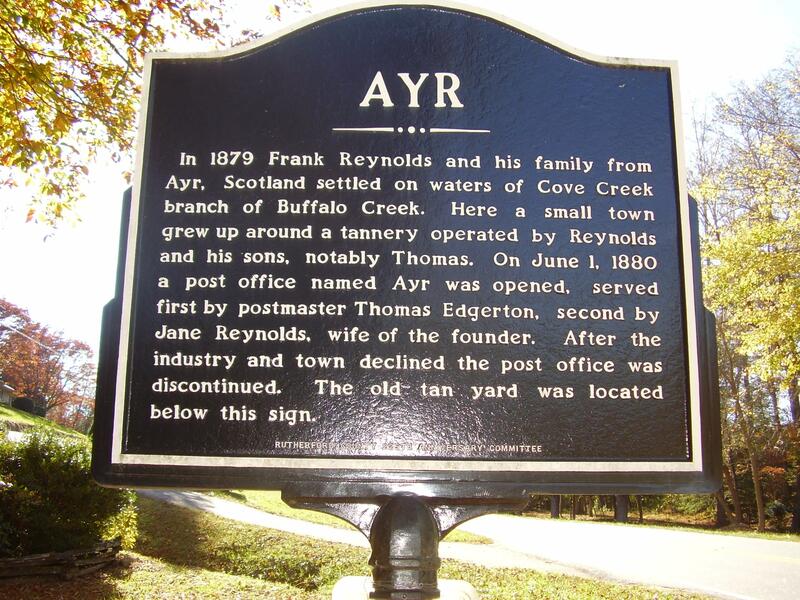 On June 1, 1880, a post office named Ayr was opened, served first by postmaster Thomas Edgerton second by Jane Reynolds wife of the founder. After the industry and town declined, the post office was discontinued. The old tan yard was located below this sign.